See a multi currency miracle… how readers gained over 40% in just six months by borrowing Japanese yen to invest in the Dow. Our business has been looking for breakouts over the last 45 years. We continually look for breakouts because economic breakouts create fortunes. Merri and I have been able to help readers have better lives, less stress and to make fortunes during these last 17 economically depressed years. Yet the simple fact is that the really big profits come at the start of a breakout. We can see the power of breakouts from the last BIG ONE in 1979. Warren Buffet saw it coming. 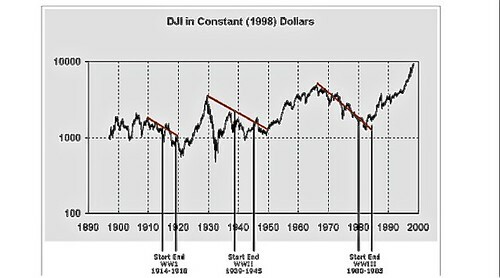 He mentioned it in a famous 1979 Forbes article “You Pay a Very High Price in the Stock Market for a Cheery Consensus”. The 1980s recession, the worst since the Great Depression, was about to begin. Yet in 1979 Buffet said…. BUY NOW. On August 13, 1982 the biggest global bull stock market in history began. 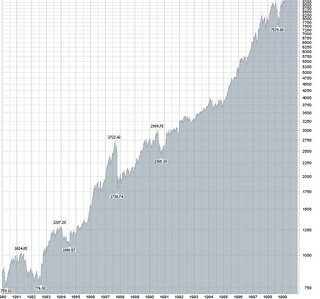 The Dow’s 1982 to 1999, relentless 17 year climb is just one breakout we can see. 1979 was the darkest hour. The herd was thinking negatively. The reality? A boom was on! Then in 1999 another economic contraction began and has been with us till now… 14 years. The cycle is repeating. This is the beginning of an even bigger boom. One tactic we always review is our Borrow Low Deposit High Multi currency expectations. This strategy always contains two profitable breakouts… one in forex rates and one in positive carry. Few decisions are as important to your wealth as WHICH CURRENCIES to invest in. 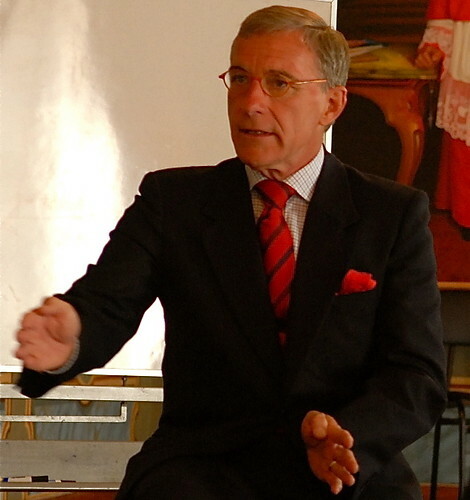 This has been our area of expertise since the 1970s… and we have worked with Jyske Bank…. one of the largest currency traders in the world for over 25 years. Beginning in October we are combining Jyske’s expertise with that of ENR Asset Management a Canadian investment management company that has created a program so Americans so they gain multi currency investments as well as Canadian and Danish banking safety. Learn how to gain currency diversification and how to leverage returns with low cost multi currency loans. Here is an example of what this means. We updated our December 2012 borrow Japanese yen signal at our 2013 start of the year seminar. 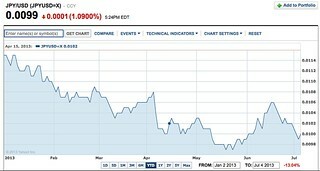 In the next six months the US dollar rose over 13% against the yen. Readers who followed this call picked up a 13% forex profit plus their positive carry. The positive carry is the return on the invested loan. Here is when borrowed yen were invested into a Dow Jones Industrial ETF for this six month period. On December 12, 2012 one USA dollar would buy 82 yen. 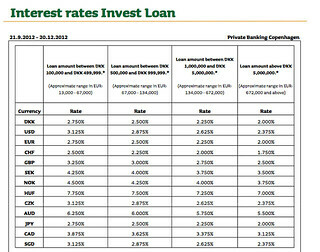 Here are the invest loan interest rates from Jyske Bank in affect in January 2013. In this example $100,000 is invested and used as collateral to borrow $100,000 worth of Japanese yen at 2.50%. The rate was 82 yen per dollar so to get $100,000 8,200,000 yen was borrowed. 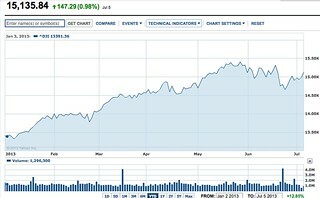 The $200,000 was invested in a Dow Jones Industrial ETF… a mutual fund traded on the New York Stock exchange. The loan cost per year is $2,500 (2.5% on $100,000). The $200,000 portfolio rose 25,700 (12.85% of $200,000). In other words the $100,000 originally invested grew $23,200 in six months. That is the positive carry without the forex profit. Plus there is a forex gain as well. By July a dollar would buy 100 yen! To pay off the 8,200,000 loan would have cost $82,000 at the rate of 100 yen per dollar adding another $18,000 of profit. The portfolio is worth $223,200 less $82,000 loan payoff or $141,200. That translates into a total six month profit of 41.2%. This return is diminished by one time, upfront loan set up costs of about $1,000, plus any trading and forex fees but the six month return in this frozen moment of time would remain around 40%. There is still potential in this position though risk have increased. 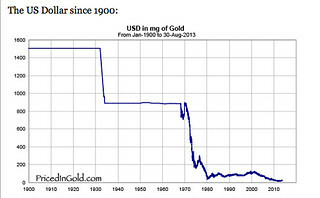 A shift from 82 yen per dollar to 117 yen per dollar is a 35% yen drop. That is the upside. 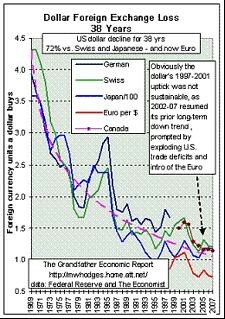 For a loss of the same magnitude the yen would have to rise from 82 yen per dollar to 53 yen per dollar… a highly unlikely event. However at the course you’ll learn how to calculate profit and loss potential and why you should never leverage more than you can afford to lose. The figures above are used for illustration purposes only. These are not recommendations as recommendation portfolios would be far more diversified and values change with market and currency shifts. The Multi Currency Sandwich is not a fast trading tactic. 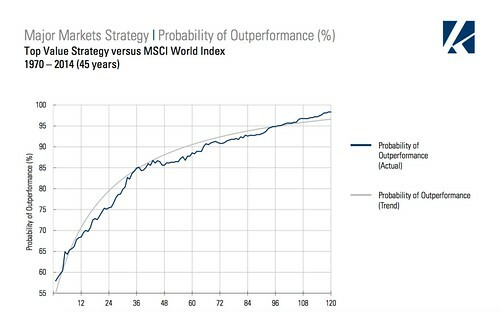 Normally positions are looked at with a five year view and we have tracked this powerful long term strategy for more than 20 years.